The perfect gift for dog lovers, Lessons from a Dog is full of charmingly-illlustrated book of life lessons inspired by man’s best friend. They may slobber, but they’re loyal, sensitive, and affectionate. Dogs have a lot to teach us. 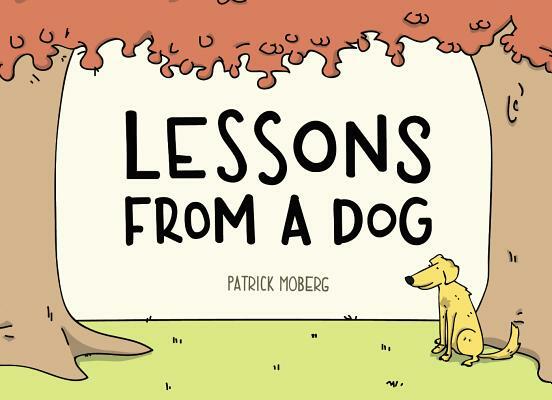 Illustrator Patrick Moberg has assembled a beautiful, witty, and heartfelt collection of illustrated lessons in this charming guide to becoming a better person. • Give and accept affection, freely and often. • When someone prepares food for you, devour it smiling like it’s the best meal you’ve ever eaten. • Let your friends know you miss them. Patrick Moberg is a web designer/developer and illustrator.